Milan, Italy and Burbank, California (November 3, 2018) - Sergio Bonelli Editore and DC, with RW Edizioni, are excited to announce an unprecedented new partnership to co-publish a series of history-making crossover comics stories featuring characters from both the Bonelli Universe and DC's Super Hero universe. The companies will unite to bring fans the epic first meetings of Italian and American pop culture icons in 2019 and 2020. 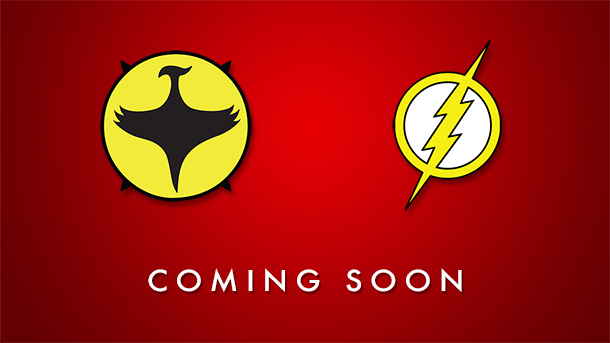 The first crossover project, scheduled for release next year, will feature the characters Zagor and The Flash. The companies are keeping 'Top Secret' the details about how they meet and the other characters who will meet in the crossover projects that are planned to follow. "Everyone at Sergio Bonelli Editore is thrilled to be part of an event of this magnitude," said SBE Editor in Chief Editorial Strategy, Michele Masiero. "Our creative imaginations have been racing since the moment this kicked off with our friends at DC and RW." "We are proud to help make this historic project possible and to be part of it." said Pasquale Saviano, CEO of RW Edizioni. "We are looking forward to working with SBE and DC to bring Italian readers the most exciting stories that they never expected." Masiero added, "We are looking forward to announce the characters involved in the other projects, and the artistic dream teams." Sergio Bonelli Editore S.p.A. is one of the world's most prominent character-based entertainment companies, built on a proven library of more than ten thousand stories featured in a variety of comic books over seventy years. Sergio Bonelli Editore S.p.A.'s comic book and graphic novel catalog includes some of the most popular entertainment heroes, including Tex Willer, Dylan Dog, Zagor, Mister No, Martin Mystère, Dragonero, Nathan Never and Julia. Leading Italian comics publisher Sergio Bonelli Editore has launched a film and TV production unit, Bonelli Entertainment, to develop projects based on its original stories and characters. For more information visit en.sergiobonelli.it. RW Edizioni was founded in 2010 in Novara and became the Italian publisher of DC's comics and graphic novels in 2011. In addition to publishing Japanese and French comics, they continue to publish DC in Italy, the Netherlands, Denmark, and Finland and have thousands of published books in their catalog.